2014 Reading: #5 David Nicholls’ One Day – It's Time to Read! 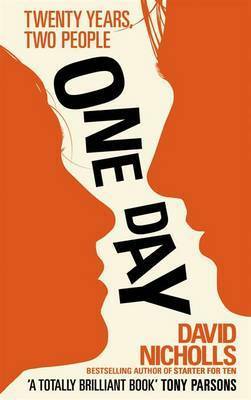 The fifth book finished in 2014 was David Nicholls’ One Day. This book I have had waiting to be read for a long time, so I added it to my 2014 Mount TBR challenge; so I am pleased to say I have read it. 1 down, 11 to go in that challenge. What to say about One Day…to be honest, I really disliked it. I found it slow, boring and sad. It was not a happy book. I feel bad typing this, as it was quite the phenomenon when it was released – I remember hearing about it all over the place, but I didn’t like it. I will write a review of this book and expand my thoughts more; however I will say I didn’t like either Dexter or Emma, the lead characters; I didn’t find the story gripping and I just wanted to get to the end and tick it off my list.